The PADI Open Water scuba diver course introduces you to our amazing and breathtaking underwater world while at the same time teaching you to become a self reliant scuba diver. The course is designed to help you understand the basic principles of scuba diving, learn the essential diving/diver skills in a safe & controlled environment supervised by industry professionals and most importantly of all, enjoying yourself the whole time and having fun in the water. The Open Water diver course has some basic pre-requisites listed below but essentially anyone of almost any age or experience can sign up for the Open Water course and learn how to dive safely. Don’t trust your first Scuba Diving experience to any one else, book now with Local Dive Thailand so you can begin a life changing journey of discovery of our watery world and the majestic and down right weird animals that make it their home. 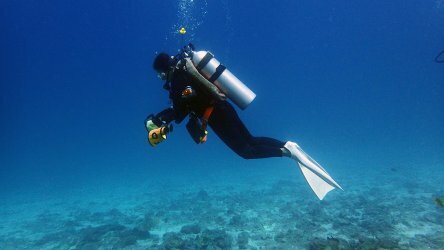 Scuba diving in Phuket is simply fantastic, you couldn’t choose a better place to learn. We have easy dive sites at Racha Noi/Yai that make your first dives fun and rewarding. On your final day you could be off to Phi Phi to enjoy slightly more challenging diving but a chance to see sharks and turtles! 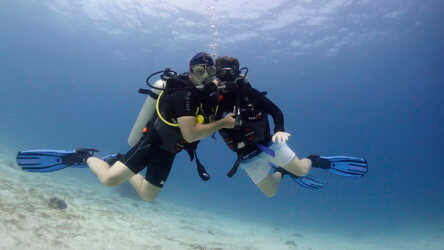 The PADI Open Water course is usually conducted over 3 days. It doesn’t have to be continuous days, if you feel like taking a break or have other activities planned then that’s no problem for us. We’re very flexible and want to give the experience that suits you. The Premium PADI Open Water course will include 6 fantastic boat dives. 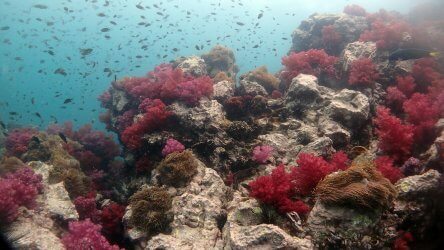 The first day of actual diving will be to the clear, calm water of Racha Noi/Yai. Large sandy areas in the shallows make a perfect spot to repeat the skills that you would have practised in the pool on the first day of your course. On the final day we’ll take you to the wonderful dive sites around Phi Phi. Sharks, turtles and huge schools of fish are all possible. To be honest we think we’re spoiling you a little. 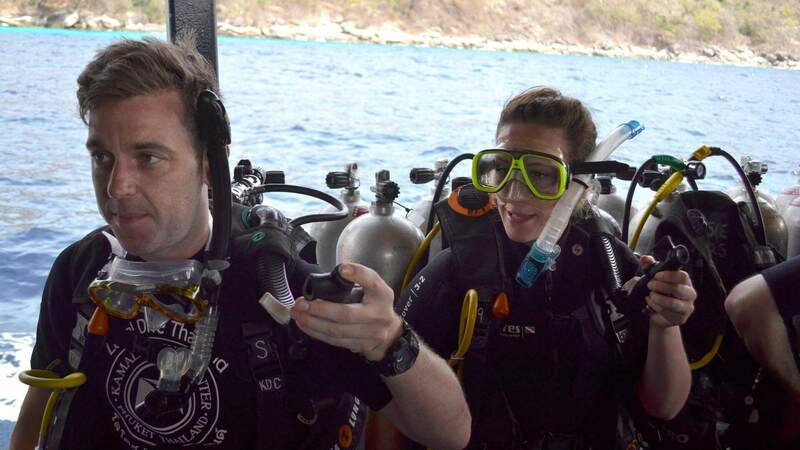 On the first dive you’ll finish of your course requirements, the two further dives will be just for fun! The dive locations will depend on your schedule but anything is possible with this location. You’ll get a minimum of 5 boat dives. The first diving day will be either 2 dives at Racha Yai only or 3 dives at Racha Noi/Yai. The second diving day could see you return to Racha Noi/Yai but be able to explore the deeper areas of the dive site, 3 dives at Phi Phi/Shark Point or two dives at Shark Point & Koh Doc Mai. We can inform of your locations before you make a booking as long as you give us your preferred start date. **Start the standard course on a Friday and get upgraded to Premium for free! Just because it’s budget doesn’t mean it’s not fun! You’ll meet all the required PADI standards to get your Open Water Diver certification but all dives will be from the beach. The diving is not in the same class as our boat dives but it’s still diving. It’s also a great option for those who want to free up there afternoons for sightseeing. On the final two days you’ll be finished by 1pm allowing you to relax in the afternoon our go on a tour. Complete your theory before you’ve even set foot in Thailand. Make your own theory schedule from the comfort of your home, on the way to work or for the sneakier among us, at work when the boss isn’t looking. For an additional THB 1,000 you can have all your theory complete and skip the classroom section completely when on your Phuket holiday. Once you have completed the PADI Open Water scuba diver course you will be certified to dive to 18m with a buddy. This means no more Discover Scuba Dives because you are now a certified scuba diver. Provided you are not alone you can dive when and where you please at typically a much lower cost than your non certified friends or relatives. You also get a PADI Open Water Diver license delivered to your mailing address which you can carry with you on your travels so dive shops and instructors can instantly recognise your level of training. 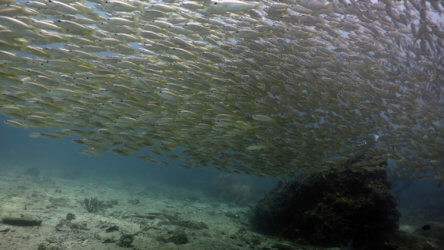 You’ll also be kept on the PADI diver database so even if you lose your card there will always be a way to prove that you are a certified diver to anyone that needs it. If you are diving with Local Dive Thailand you’ll also gain the best training Thailand and Phuket has to offer, from our highly qualified and super dedicated dive instructors! If you’re feeling confident and looking to save money, then you can book a combo package. PADI Open Water +PADI Advanced Open Water in 4 days for just THB 23,500! 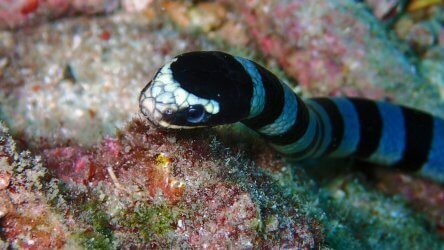 See the best scuba diving Phuket has to offer and gain extra essential knowledge. After you’ve completed your final dive you will have to wait a minimum of 18hrs before flying.